MainJudaismWill There be Sacrifices in the Third Temple? What will the rebuilt Temple be like? Will we really offer animal sacrifices once again? Some people object to the idea of sacrifices out of concern for the welfare of animals. However, this objection contains a measure of hypocrisy. Why should compassion for animals only be expressed with regard to humanity's spiritual needs? If our opposition to animal slaughter is based not on weakness of character, but on recognition of the issue's fundamental morality, then our first step should be to outlaw the killing of animals for food, clothing, and other material benefits. In the world's present state, the human race is weak, both physically and morally. The hour to protect animal life has not yet arrived. We still need to slaughter animals for our physical needs, and human morality requires that we maintain clear boundaries to distinguish between the relative value of human and animal life. At this point in time, to advocate the protection of animals in our service of God is disingenuous. Is it moral to permit cruelty towards animals for our physical needs, yet forbid their use for our spiritual service, in sincere recognition and gratitude for God's kindness? If our dedication and love for God can be expressed - at its highest level - with our willingness to surrender our own lives and die al kiddush Hashem, sanctifying God's name, then certainly we should be willing to forgo the life of animals for this sublime goal. "With regard to sacrifices, it is more correct to believe that all aspects will be restored to their place. ... We should not be overly troubled by the views of European culture. In the future, God's word to His people will elevate all the foundations of culture to a level above that attainable by human reason. 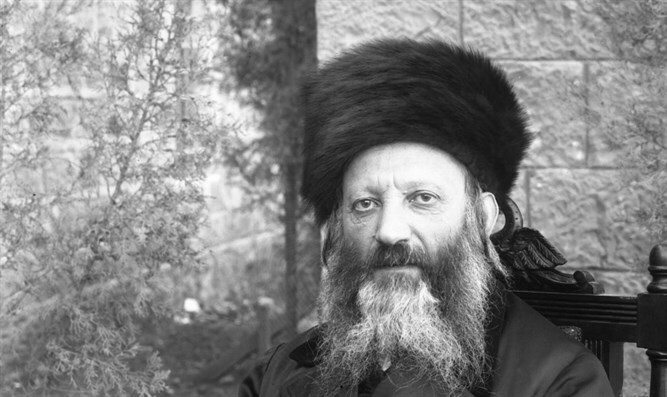 In the writings of the Kabbalists, we find a remarkable description of how the universe will look in the future, a world vastly changed from our current reality. All aspects of the universe will be elevated. Even the animals in that future era will be different; they will advance to the level of people nowadays (Sha’ar Hamitzvot of the Ari z"l). Obviously, no sacrifice could be offered from such humanlike animals. At that time, there will no longer be strife and conflict between the species. Human beings will no longer need to take the lives of animals for their physical, moral, and spiritual needs. Even in the current reality, we may feel uncomfortable about killing animals. This does not mean that the time for full animal rights has already arrived. Rather, these feelings come from a hidden anticipation of the future that is already ingrained in our souls, like many other spiritual aspirations. Hints of these future changes may be found in the text of the Torah itself. Thus, it says that offerings are slaughtered on the northern side of the altar. Why this side? The north traditionally represents that which is incomplete and lacking, as it is written, "Out of the north, the evil shall break forth" (Jeremiah 1:14). In other words, the need to slaughter animals is a temporary concession to life in an incomplete world. Furthermore, the Torah stipulates that sacrifices must be slaughtered "lirtzonchem" - "willingly"(Lev. 19:5). The Temple service must correspond to our needs and wants. As the Talmud in Erchin21a explains, one must be able to say, "I want to bring this offering." When the slaughter of animals is no longer generally acceptable to society, this condition will not be fulfilled. Finally, the Torah describes a person offering an animal sacrifice as "adam" (Lev. 1:2). This word indicates our current state of moral decline, a result of the unresolved sin of Adam, the first man. An individual offering a grain offering, on the other hand, is called "nefesh," or "soul" (Lev. 2:1). The word nefesh implies a deeper, more essential level of humanity, independent of any temporary failings.